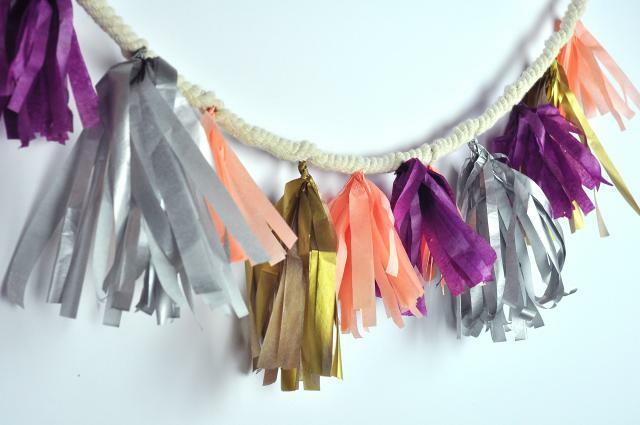 How to make tissue paper tassel garland. 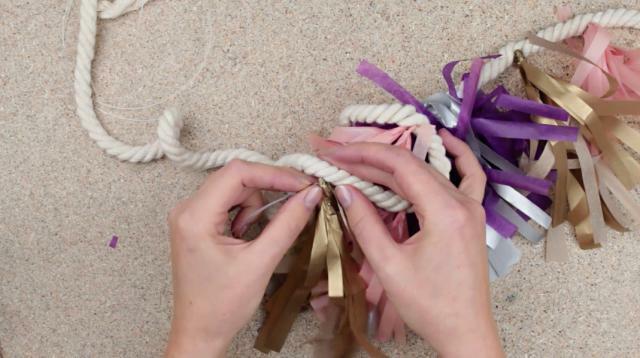 In today's video we will show you how to create DIY festive tassel garland. This decoration will embellish your home for a holiday and add a little spring mood. Make lines every 0.4 inches. 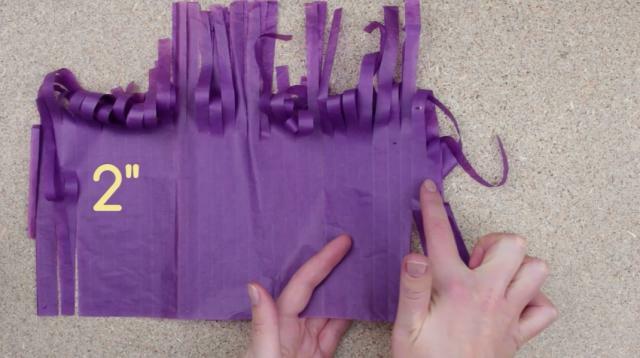 Cut the tissue paper in strips along the lines. Leaving about two inches margin in the middle cut the same strips on the other side. Fold it in half and twist. Prepare enough elements of various colors. 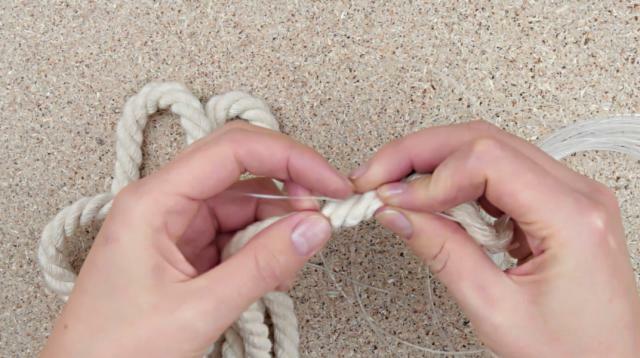 Weave a fishing line into a rope. Fix the end with a craft wire to keep it in place. Continue weaving following the twists of the rope. 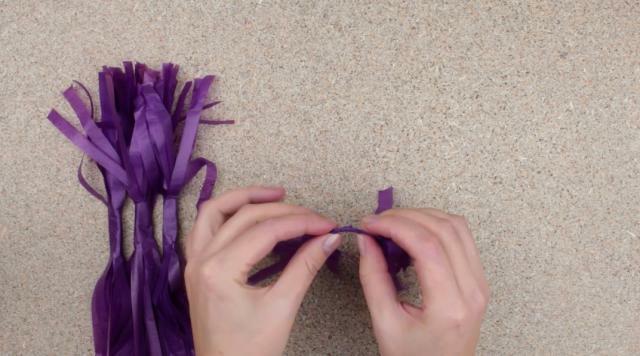 Pick a tassel with a fishing line and weave it into the rope. 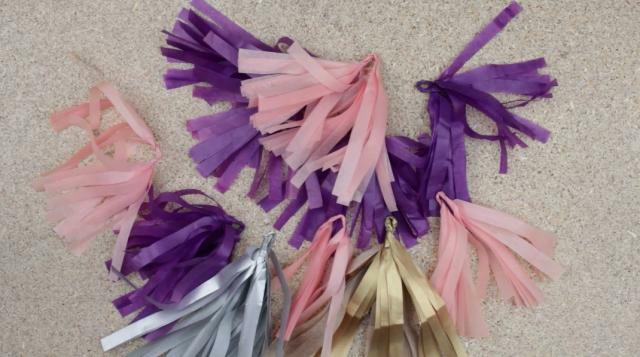 Add a tassel of another color in 4 inches. 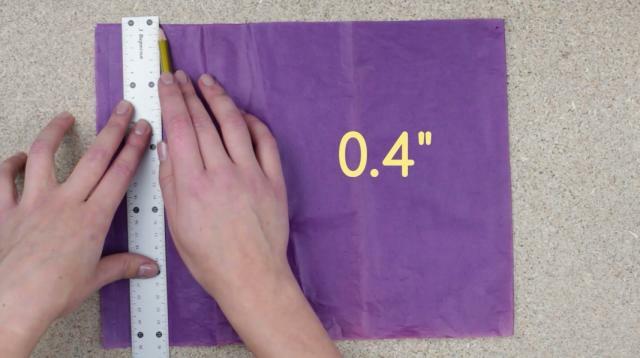 Alternate the elements of different colors every 4-6 inches. 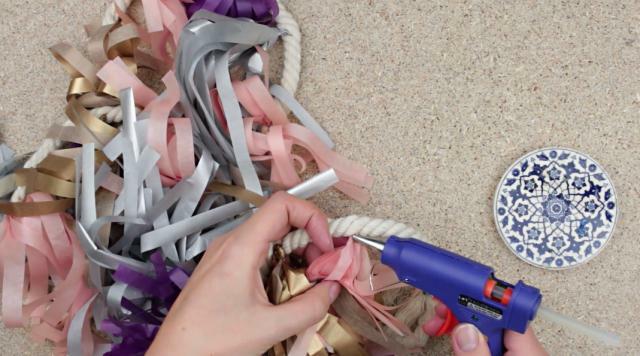 Hot glue the tassels to the rope. The festive tassel garland will embellish your home for a holiday and add a little spring mood.